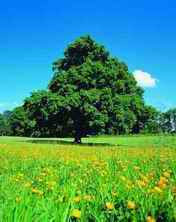 Did you know that there is a rare type of oak that is native to Waterford? The Fennessy's Oak was first grown in Fennessy's Nursery in the town land of Grange in the 1820s. Check out the Waterford Today newspaper website. Just a random oak tree! Great to see this tree being planted and a bit of history commemorated. But the excitement is more than a little marred by the fact that about 30 mature trees have been felled at Kilbarry in the last week or two. Mature, native trees, with 3' diam trunks, have fallen to City Council axes outside Halley's Farm and Bolton FC grounds. There was no-one from council present with glittering chains, or photographers, to record THAT event. The loss to wildlife as well as landscape/amenity vlaue in a part of town which is now bleak and dreary is huge. Can we hear from some voices who care?